Beijing’s population reached 21.15 million at the end of last year, 2.2 percent up on 2012, the Beijing Municipal Bureau of Statistics announced Thursday. Permanent residents in the Chinese capital increased by 455,000 since the end of 2012. Xia Qinfang, deputy head of the bureau, declared that Beijing’s population includes 8.03 million migrants who have been in the city for over half a year. Beijing’s population has been growing more slowly since 2011, Xia said. 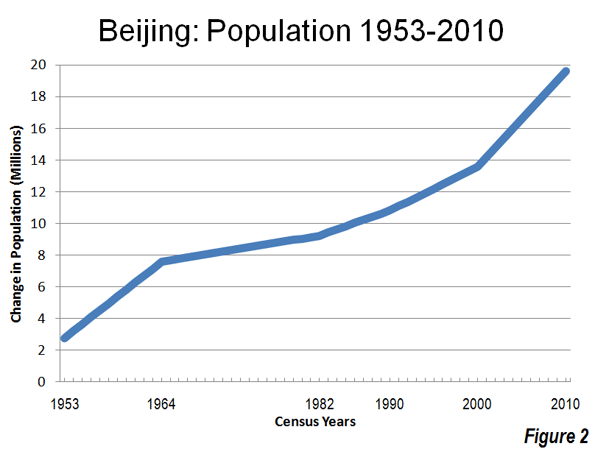 So, when I moved to Beijing in 1998, the population was just over 12 million, and when I left it was 20 million. That explains so much!